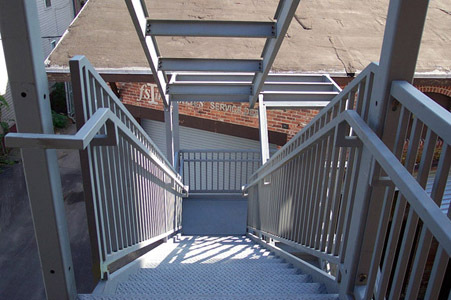 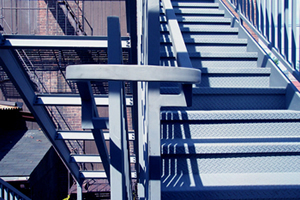 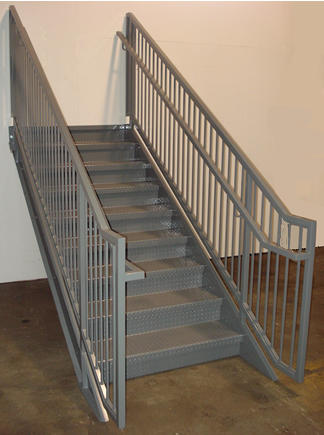 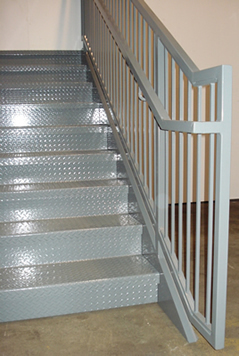 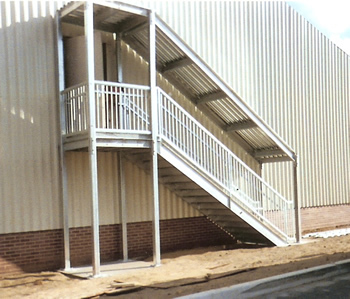 Factory welded offset handrails of 1 1/2" x 11 Ga.
42" high guards welded to stair stringers with 1/2"
square rod vertical pickets on 4" centers. 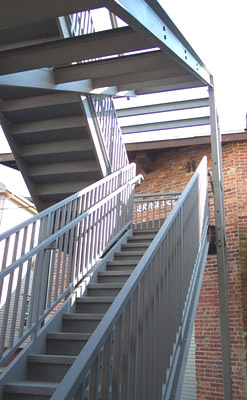 stair width. 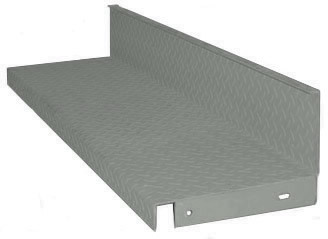 Other widths available upon request. 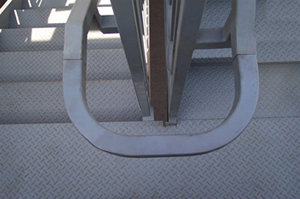 Tread depths are 12" deep diamond plate. 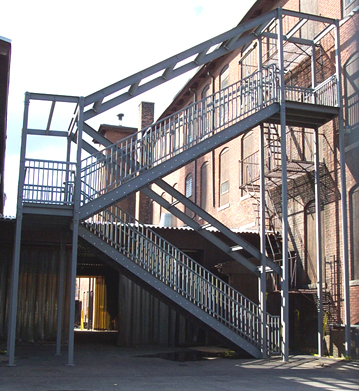 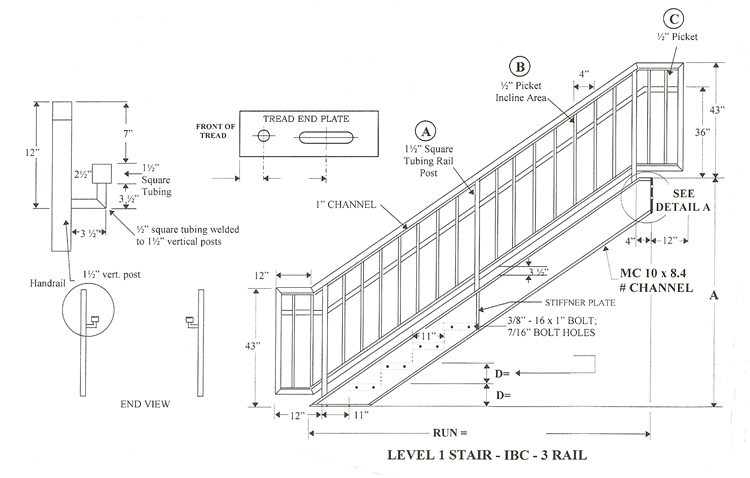 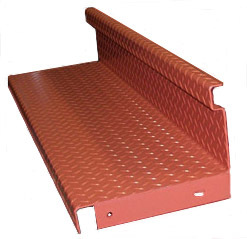 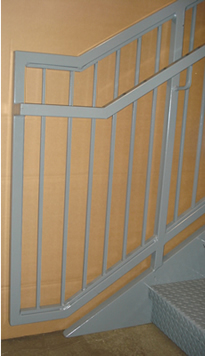 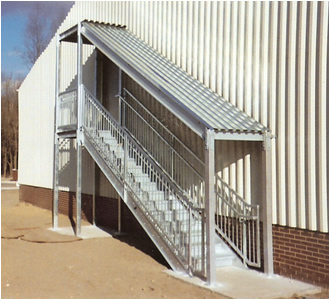 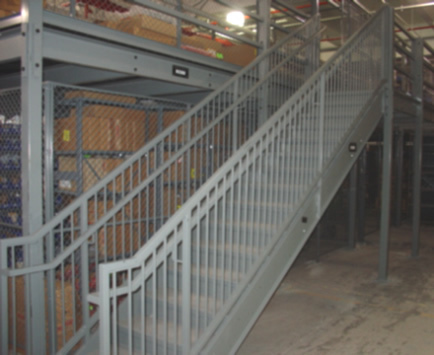 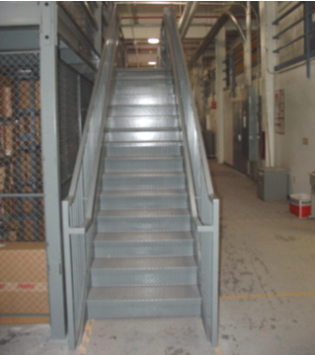 IBC stair used for general access to in plant mezzanine.